HomeDoes E. ewingii Cause More Cases of Ehrlichiosis Than Previously Thought? 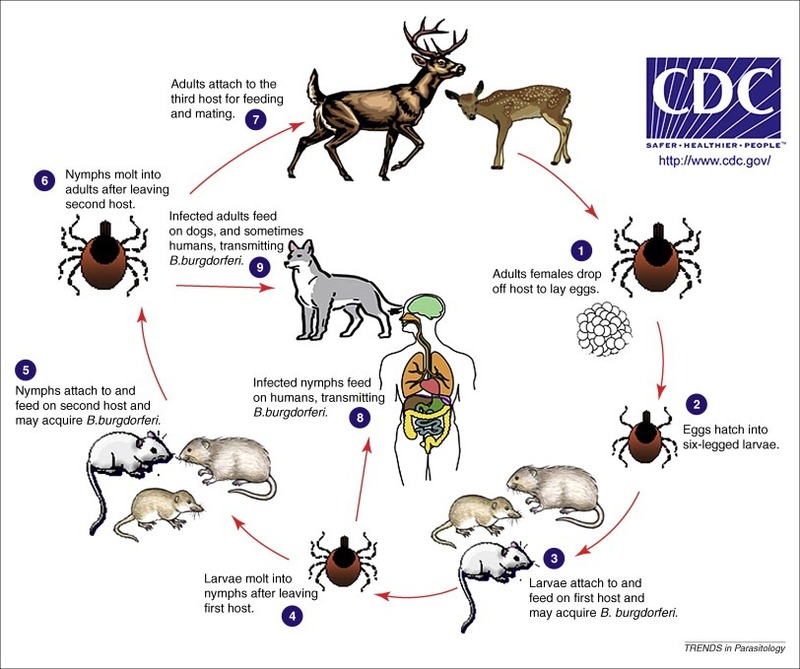 Ehrlichiosis is a bacterial zoonosis, spread through the bites of infected ticks, that is most commonly caused in the United States by infection with the bacterium Ehrlichia chaffeensis. 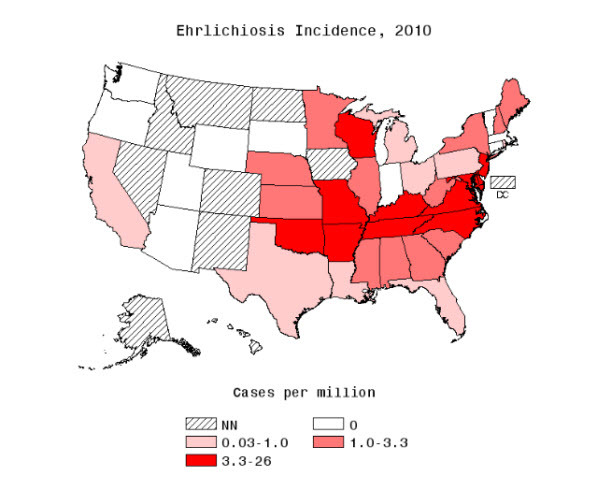 We retrospectively reviewed samples from an 18-month study of ehrlichiosis in the United States and found that E. ewingii was present in 10 (9.2%) of 109 case-patients with ehrlichiosis, a higher rate of infection with this species than had previously been reported. Two patients resided in New Jersey and Indiana, where cases have not been reported. All patients with available case histories recovered. Our study suggests a higher prevalence and wider geographic distribution of E. ewingii in the United States than previous reports have indicated. Of 4,177 patients from 41 states who had samples submitted to Associated Regional and University Pathologists Laboratories for detection of Ehrlichiaand Anaplasma species by real-time PCR during an 18-month study period, 99 (2.4%) were positive for E. chaffeensis, 10 (0.2%) for E. ewingii/E. canis, and 0 for E. muris-like pathogen. A total of 179 (4.3%) patients were positive for A. phagocytophilium. Positivity rates were calculated by state (Table 2). All 10 E. ewingii/E. canis–positive cases were subsequently identified as E. ewingii, accounting for 10 (9.2%) of 109 ehrlichiosis cases during the study period. E. ewingii–positive samples were from 9 men and 1 woman (median age 58 years, range 24–74 years). The samples were from Missouri (n = 4), Indiana (n = 3), Arkansas (n = 1), New Jersey (n = 1), and New York (n = 1) and were collected in June (n = 1), July (n = 3), August (n = 4), and September (n = 2). Case histories and laboratory results were obtained for 5 patients (Table 3). This report strengthens the decision of the CDC to have a separate surveillance program for E. ewingii, and will provide us a better, more granular, species level understanding of the epidemiology of the disease, especially with respect to whether there are any differences in the clinical course of the illness or the therapeutic plan adopted to combat it. 2. Adams D, Fullerton K, Jajosky R, Sharp P, Onweh D, Schley A, Summary of notifiable infectious diseases and conditions—United States, 2013. MMWR Morb Mortal Wkly Rep. 2015;62:1–122. ← World Serology Bank: Key to a Better Understanding of Infectious Disease Dynamics?